2016 has been a terrific year for anthologies of original short stories compiled around a common theme. One of the best has just been published in the closing days of the year. Its somewhat long-winded but perfectly appropriate title is IN SUNLIGHT OR IN SHADOW: Stories Inspired by the Paintings of Edward Hopper. I might normally skip over a collection of this type, not being an art guy by any stretch of the imagination, but for two reasons. I am a fan of Edward Hopper, and the volume is edited by Lawrence Block, who, even after decades of labor in the grammar mine, continues to produce high-quality ore. How could I resist? I am glad I did not, because SUNLIGHT (as I will refer to it) is a gem. 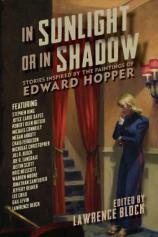 It contains 17 stories, each based on a different work by Hopper. These tales are not limited to the mystery/thriller/crime genres, nor does Block select his authors exclusively from those genres. The result is a collection that surprises, delights (did I just say “delight”?) and challenges. SUNLIGHT would not be an anthology inspired by Hopper paintings without a story written around Nighthawks, and, indeed, that worthy and iconic work provides the basis for a Bosch story by Michael Connelly. “Nighthawks” finds Bosch wearing his relatively new private investigator hat and a somewhat ineffectual overcoat well outside of his Los Angeles comfort zone as he shadows a young woman who has a fascination with the Hopper exhibition at the Chicago Institute of Art. It’s one of Connelly’s best stories of any length, in part because it highlights front and center Bosch’s basic and fundamental decency. Joe R. Lansdale is here as well and is somewhat of a surprise. One expects his down-to-earth and downtrodden characters to be more associated with Snuffy Smith caricatures in Tijuana Bibles than iconic painters. But “The Projectionist,” his take on Hopper’s New York Movie, makes the transition seamlessly in this story of wasted lives and the passing of violent torches set in Depression-era Texas. "2016 has been a terrific year for anthologies of original short stories compiled around a common theme. One of the best has just been published in the closing days of the year.... Even if you’ve never heard of Hopper or read a mystery, you’ll love this collection." Office at Night is brought to life by Warren Moore in his story of the same name, a haunting and tragic tale based on the premise of abruptly shattered dreams and their aftermath, a theme that is subtly presented in much of Hopper’s work and is repeated independently, in a variety of ways, in SUNLIGHT. Reading “Office at Night” will cause you to hunt down Moore’s sparse but nonetheless brilliant backlist and wish that he wrote more. Jonathan Santlofer is another author who regretfully does not write frequently, but his “Night Windows,” based on Hopper’s painting of that name, is a classic story about what can only be described, in the vernacular of Hopper’s time, as a despicable cad who may just get his comeuppance. Seeing if and when it happens makes for terrific reading. If you like unpredictability and surprises, you’ll find them aplenty in “The Incident of 10 November” based on Hotel by a Railroad. Jeffery Deaver tells this story in the form of a report from a Russian, post Stalin-era security to a superior concerning an incident involving a Jewish scientist. If you’re put off by the Soviet doublespeak style of the report that Deaver employs, please persevere. It’s merely a vehicle for fabulous storytelling and an intricate plot that fits neatly into the short story format. As good as these and the other stories included in SUNLIGHT may be, there are three that particularly stand out. “The Story of Caroline” by Jill D. Block is my favorite; inspired by Summer Evening, it’s a simple tale full of surprises that gently tugs the reader in. Sentimental yet also suspenseful, it’s about finding one’s way back to the home you never had, and just in time, too. I was a little misty-eyed by the end of it. But don’t tell anybody. You could purchase this anthology simply for the pleasure of reading this one story and get your money’s worth. The most unique story is “Rooms by the Sea” by Nicholas Christopher, which is based on the identically named Hopper painting. It’s about a house by the ocean and the man who lives in it, the history behind it, and mysticism. Since reading it, I have finished several very good books, written some frolics of my own, and had a few weeks go by, yet I still can’t get this story out of my head. The plain and simple truth is that I would love a house like this, but will never have one, for reasons made very clear here. The best of all for me, though, is the book’s last story, written by its iconic editor. 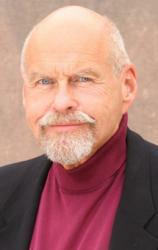 Lawrence Block has written more stories at this stage than he will in the future, but he continues to produce some of his best work, even at this late date. His “Autumn at the Automat” (after Automat) is classic Block based on classic Hopper. There are more twists and turns in the few pages of Block’s story than one can find in many novels. I doubt that after reading it you will ever eat in a restaurant --- or anywhere --- again without thinking of it. I could go on. Anyone could, what with stories by Stephen King, Lee Child, Joyce Carol Oates, Robert Olen Butler, Craig Ferguson (indeed! ), veteran scribes Justin Scott and Megan Abbott, Nicholas Christopher, and Gail Levin (a universally acknowledged authority on Hopper and his work). But I’ll stop here with this parting shot: Even if you’ve never heard of Hopper or read a mystery, you’ll love this collection.